I am already a subscriber. I have three kids, 2 still at home and the other already left the nest. I need to get as much footage as I can of them while I can! Additionally, my fiance is overseas and this would be great for sending video messages to him. I would take too many videos of my cat, I’m sure (since she is a captive audience). I would take it on our trip to Alaska. My phone does not take video so I really need the Flip. Thanks for the chance to win this! I would use it to take videos of my family and friends! I want to take it all over the world during my travels! 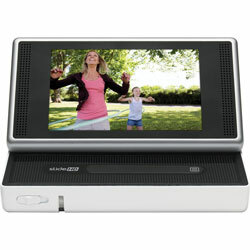 I’d use the Flip SlideHD to record my only grandson while he’s here this summer. I haven’t seen him in 4 years and he will be going back to Florida in the fall. I’d use it on my boyfriend and I’s upcoming trip to Lake Tahoe and Napa Valley. Looks like a very useful device. I’d use it to record on vacations. If I win,I will film all of my son’s baseball games! I would love to be able to record all of my son’s baseball games! We could REALLY use this product!! I’d LOVE to be able to have more video capabilities,other than our cellphones!! We have alot of upcoming events (Birthday’s, Weddings, Pageants etc.) this summer that we’d like to be able to take pics, & videos as well for. This product would be awesome for us to use & easy too!! I would take lots of videos of my baby and send them to his grandparents, aunts, uncles and cousins - all of whom live a plane’s ride away from us! I am a subscriber! I would love to win! I would give it to my son who has really been wanting a Flip! Thanks for the chance! I would give this to Hubs for Fathers day/Birthday (2 days apart) We lost everything we owned 3 years ago (including our 4 childrens pic’s) We are trying to capture as many memories as we can while they are still some-what young. I WIN this, wow,I will give to my only son, who is still a teen, for him, as appreciation being the man of the House, since they do not know thier Father,and I always been their Cheerleader through the years. I would make videos of my kids and pets with the Flip SlideHD and would let my kids borrow it from time to time if I’m picked as the winner. I have 2 small boys and they are aways doing something cute. I would love to win this to catch it on film!! I’d give it to my boyfriend for Father’s Day! He’d love it! I subscribe. I’d love to be able to shoot life as it happens. This would be easy to carry, shoot, and share. I can use it to keep up with my 14 grandchildren. If I won I would take videos of my family and send the entire camcorder with the videos to my Dad who lives out of state. Then he can send us videos of all his fishing boating stories he likes to tell us! I love the flip camcorders. I would love to win one. I would film my daughters ballet recital. I would pass this one on to my wife to record and share the little moments in our lives with the gradkids and family. I want to make happy memories. Wow, a video camera I could carry in my pocket, where wouldn’t I use it? If I were to win, I would take video of my husband dancing to upload to my blog. Already subscribed with you guys (and gals). If I win I’d use the camcorder to take clips of the places I visit in the washington state. Beautiful memories need a safe place to be stored at, sharing them would be an added bonus! Already a subscriber, I was to win I would be shooting some awesome clips of The Sturgis Motorcycle Rally, I only live 30 miles away and am an avid Biker myself, I need to prove to some of my friends the sites you can see so that they will show up for Rally as well. Thanks for a second chance to win. I’d use it for all of those family moments. Especially my son’s graduation in two years. I am a subscriber (stowelljg at comcast dot net) and the Flip SlideHD Camcorder would be great to carry around and capture just about anything in a video and anytime. Gone are the cumbersome camcorders of last century! Now you can record any event in your life or the life of your family and friends with something that fits in the palm of your hand! Thanks for the opportunity to win the Flip SlideHD Camcorder. This is a great tech idea…and the perfect size to keep in my pocket. I have a 3 year old that is always doing something cute. It would be great to win to capture my little hams special moments 24/7. I am a subscriber too. I would use this to capture some music of my band and the scene around. I would probably also use it to expand and evolve into making movies and capturing the moments that arise. It would be a great tool for an ‘on the go’ recorder of inspiration and events. I’m a subscriber. If I’m picked as a winner, I’ll used it to record my family this summer…and then let them see the instant playback. subscribe to the Techlicious newsletter! My only daughter is getting married and I would love to record their wedding and first year of being married!Then I would make a DVD for them! I also have a big beautiful garden and posting about the garden and my cats would be awesome! I’d love to surprise my techy-dad. He always loves to be In the know about gadgets but it’s hard when we don’t have extra money to splurge with! A serious happy Father’s Day here. If I won the Flip Video I would film my grandsons doing the most amazing things. They are so much fun to watch especially when we go to the zoo. I subscribe. I’d use this to take family videos and enter more contests!